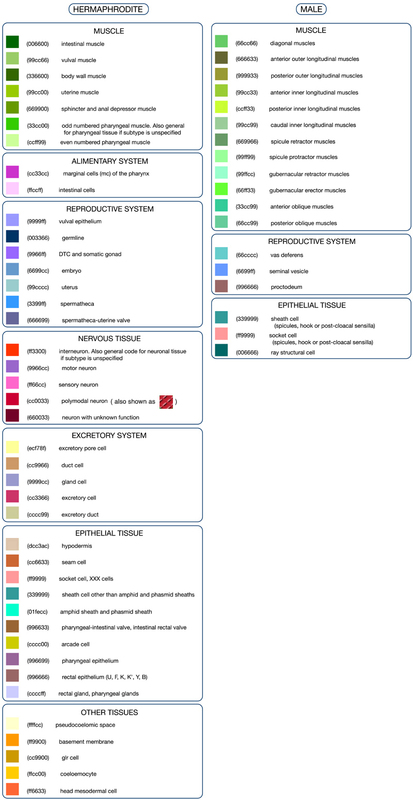 Throughout this atlas tissues, organs and anatomical structures of C. elegans have been coded with the colors shown in this list. The numbers next to the swatches indicate HTML color codes in hexadecimal (the hex code). Unless otherwise stated male tissues follow the same color code as the hermaphrodite.